A lot of the times I have clients who have the issue that they wake up at night and they can't go back to sleep. And very often that is related to stress that's building up during the day. We just don't have time to diffuse it because we're just too busy or we don't want to. And then it's haunting us at nighttime when our brain gets a break and it wants to basically work through everything that's happened. So here are a couple of techniques that you can use in order to power down that brain, to get calm again and to drift back to sleep. But first off, just quickly, why would breath even be important? So when we are in danger or stressed, our brain tells our body to focus on everything that we need to survive. So we get shallow breath, it goes into our heart area, our heartbeat goes up. Uh, our pulse goes quicker and everything that's digestion for example, is slowed down, also reproductive organs and so forth. All of that is not too important in order for survivor, let's put it that way. So those of things are basically "neglected". Now what we want to do is slowing down and having everything is equally oxygenated. So we get oxygen everywhere, breath is nice in our belly, and it's a very different way of breathing and of functioning. Now usually we have the idea that it's only our brain dictating to our body what it should do, but it also works the other way around so we can actually do something with our body and it's going to influence our brain. And that's what breathing is doing. So when we breathe in a way that is typical for not being stressed, then our body is at some point going to think that we actually aren't stressed. And that's exactly the purpose. That's exactly what we want. 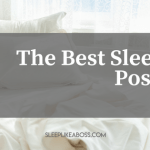 So here is my favorite exercise, which is really, really easy, and you can it a during the day or you can do it, at night time when you are waking up and you find yourself with a racing mind. Now what I want you to do, it's pretty easy. I want you to alternate between normal and deep breaths. You basically take a normal breath as you would normally do. Then you take a deep breath through your nose and out of your mouth and then you take a normal breath again just as you normally do, and then you take a deep breath again and the more you do that, the more you alternate that, really focus on what the deep inhalations feel like and notice the difference between those normal and deep breaths and you might start to really observe that your normal breathing is actually pretty constricted and how your deep breathing is is creating a sense of relaxation. Now, the more you do that, at one point you can actually imagine your breath as a white light going in and bringing peace and calm and the breath going out, taking anything that's tension or anxiety and transporting it out of the body and you can even tell yourself on the inhalation, I'm breathing in peace and calm and on the exhalation I'm breathing out tension and anxiety. That little exercise can be done during the day whenever you feel that there's something happening that is stressing you out a little bit or creating tension and you can use it before going to bed or at nighttime when you wake up and you can't fall asleep. So that's my favorite one. The next technique that I'm going to talk to you today are mini relaxations and many relaxations are like small holidays for your mind and it's really easy. You can do it every moment during the day and it's just something when someone is upsetting you, when something or somebody has said a comment that has upset you. When you are in a traffic jam or when you're in a situation that you don't like. Like for example, you are just down in bed and you already know this is going to be a tricky one to fall asleep. I can't find my position and you feel that anxiety's coming up. Then take a deep slow breath and really notice any movement in your abdomen and your chest. 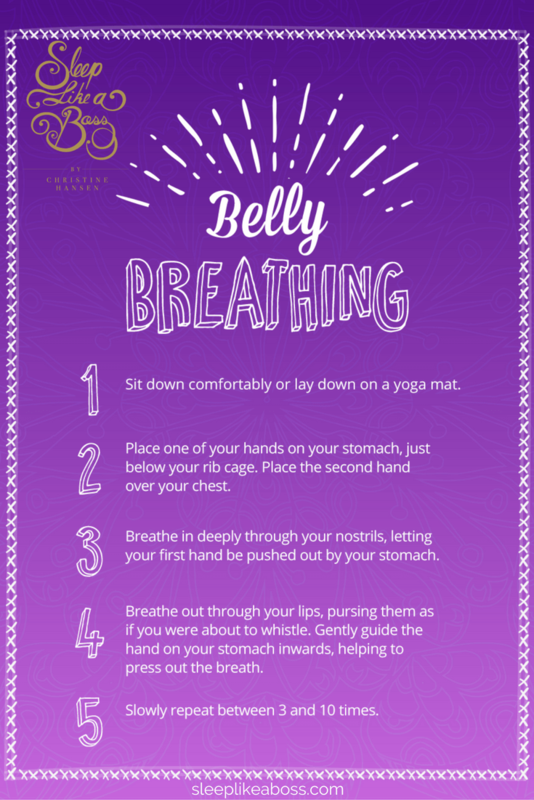 You can place a hand on your belly and really just notice how your belly is rising up, when you breathe, inhale and how it is lowering down when you exhale and also see how your chest is going to rise at the same time as her abdomen very, very slowly and then really take your time and just relax your stomach muscles. Check your body whether there's any tensions in your belly and let it go. Just really give it a warm, fuzzy feeling and imagining it becoming cotton and just be soft and just enjoy the sensations of your breathing and the wonder and miracle of your body that is bringing you life through every breath and try as much as you can to be grateful for your body doing this automatically and enjoying this. So just doing that is already something that's amazing. Another way of doing it, and this is actually my favorite one of taking a mini break, is to inhale and count very slowly from one to four, so: one, two, three, four, and then exhale going four, three, two, one. And I do that three to five times and that's it. It's bringing me to a different level during the day, during the night time. So you have two different ones. Number one for your mini break is just focusing on your breathing. And number two is counting up to four and counting down from four to one. 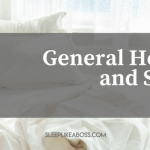 This is one of the most effective breathing exercises for sleep to keep your mind and soul connection. All you need to do is sit in the yogi pose, hold the right thumb over the right nostril, and inhale deeply through your left nostril. When you have reached the peak of inhaling, try exhaling through the left nostril. Repeat this practice for 15 to 20 minutes. It can be difficult initially, but once you start doing it, your entire body and mind will be more relaxed. This powerful breathing exercise will take all the negativity out of your mind and brighten up the inner you. Sit with an upright spine; keep it straight as much possible. Contract your abdomen on outward breath and squeeze the air out of your abdomen. Generally, you have to create a vacuum inside the abdomen. Gently release and let the air flow your abdomen naturally and then let your breath flow naturally. Practicing these deep breathing exercises helps your brain take enough of oxygen in a balanced way. This is a kind of workout for your brain. 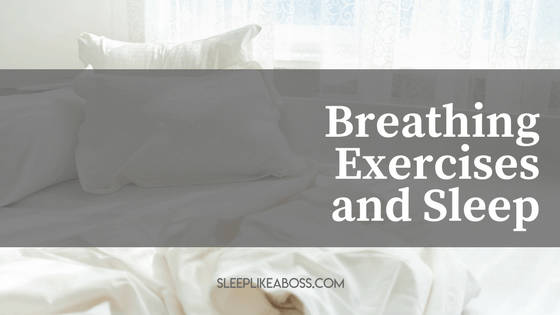 So, try out these breathing exercises and balance the way your mind works, especially during the nights.